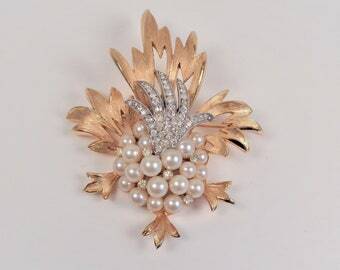 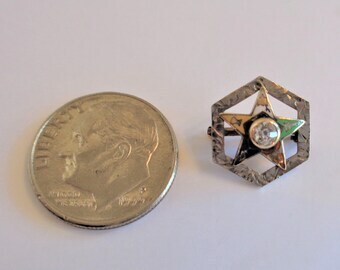 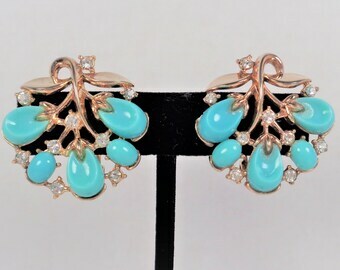 This vintage 1950's - 1960's Miriam Haskell piece is more stunning in person! 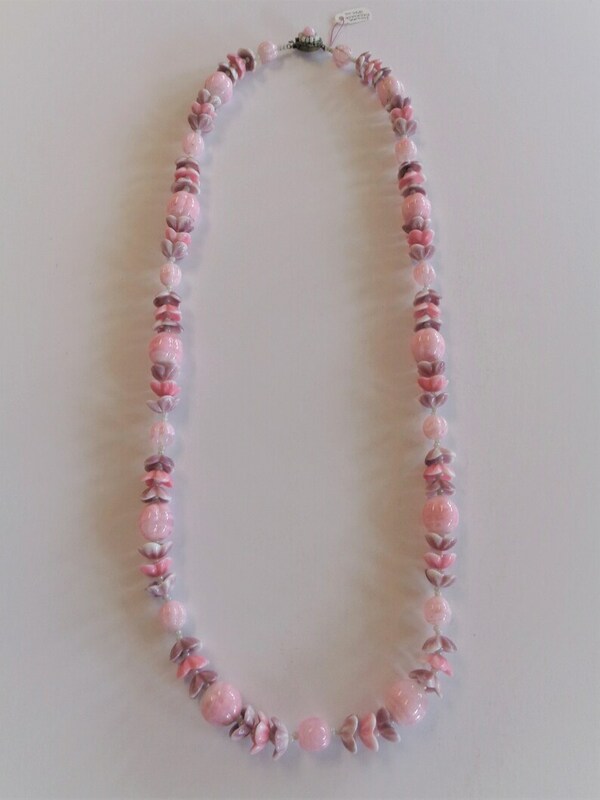 Pink glass flower beads mixed with round textured beads in a necklace measuring 30 inches in length! 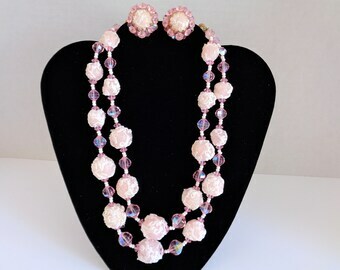 The beads are substantial with the largest over 1/2 inch in diameter. 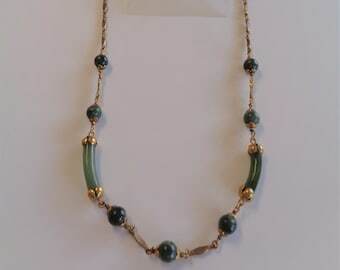 The beads are possibly Czech or Austrian. 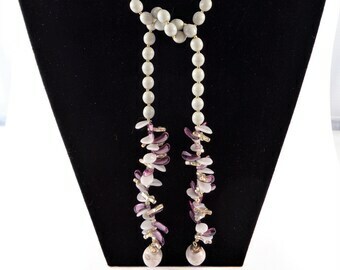 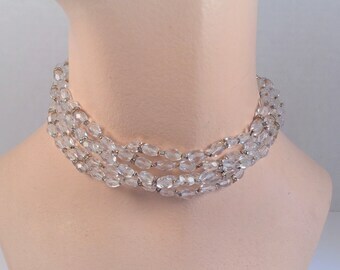 The clasp works very well and the necklace is in excellent condition, no need to restring! 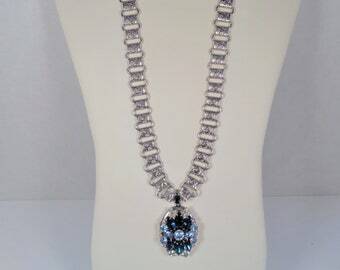 Vintage Hobe Bookchain Style Necklace with Locket Pendant Blue Rhinestones RARE!